Two wines made from the same grape by the same producer that are so different in style is uncommon. 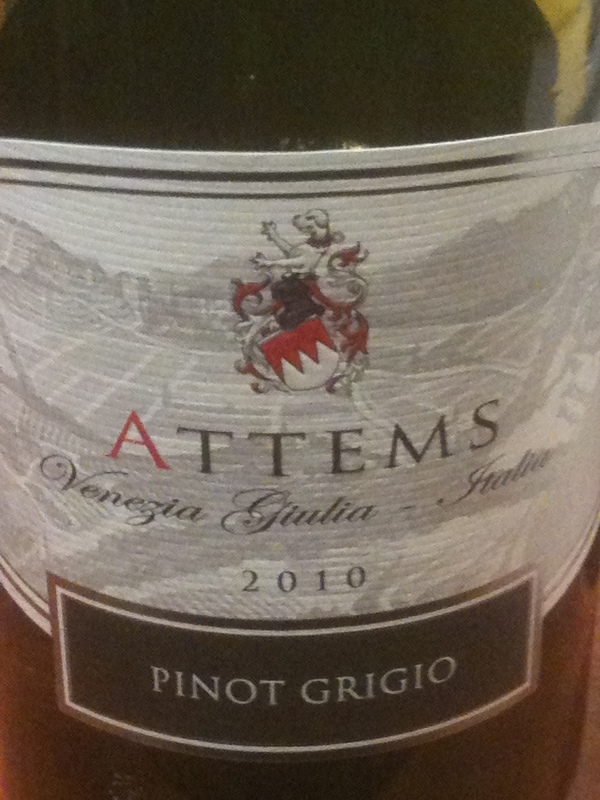 It is even more unusual when the grape is Pinot Grigio. Alessandro Lunardi, the representative in America for the wines of Marchesi de Frascaboldi, invited me to a tasting that he was conducting on these wines. I expected all of the wines would be from Tuscany but it seems that the company is involved with wineries in other parts of Italy. The producer of the Pinot Grigio is Attems in Friuli-Venezia Gulia and the estate is located in Lucinico in the Gorizia area of the Collio. The Collio Goriziano comprises a series of descending slopes (from which it derives its name) facing south, protected on the north by the Julian Pre-Alps, which act as a barrier to the cold north winds. 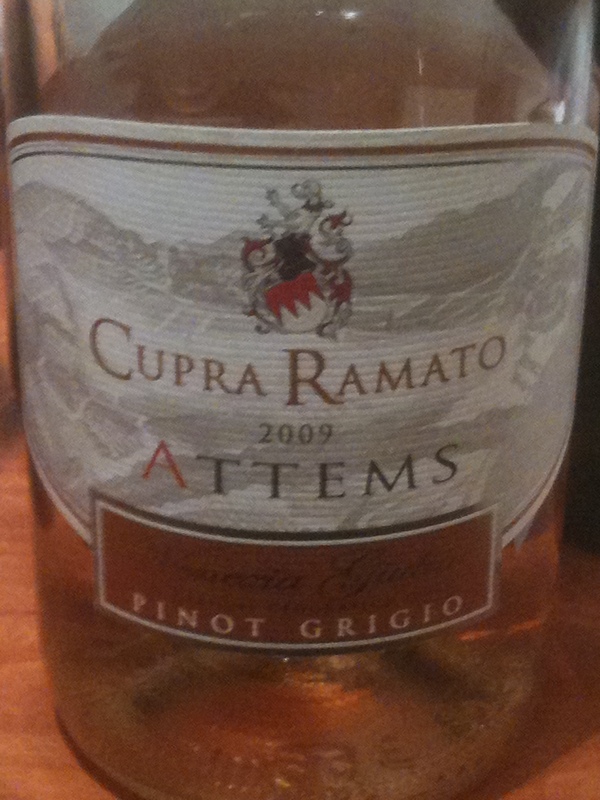 Cuppa Ramato 2009Venezia Giulia Pinot Grigio IGT 2009. 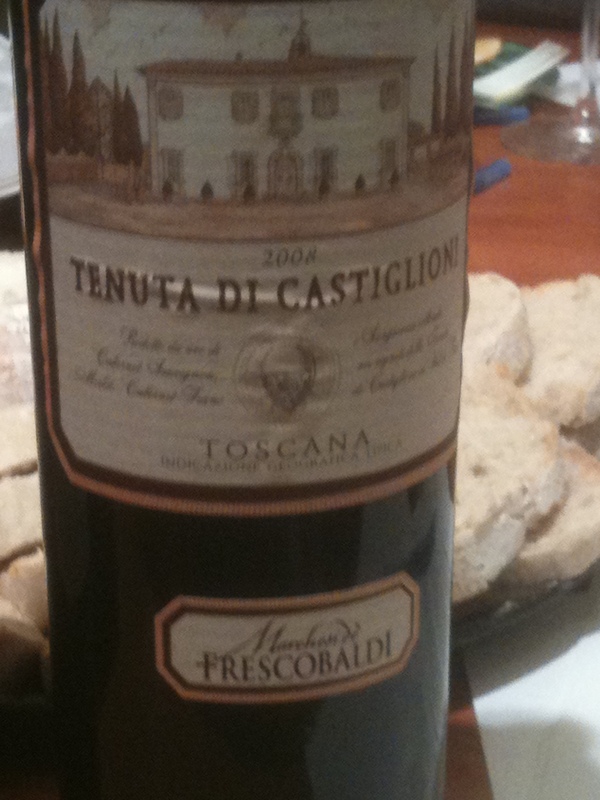 The wine is mostly Sangiovese with a small amount of Cabernet Sauvignon. 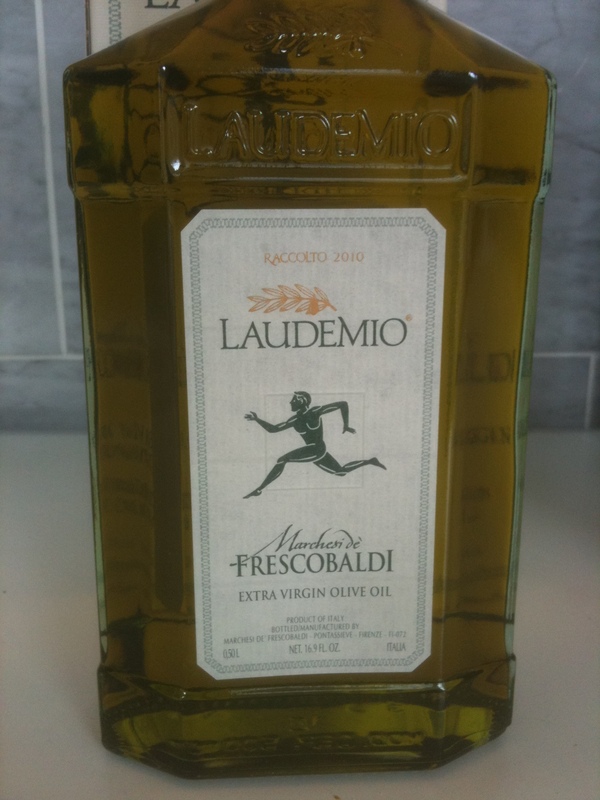 Alessandro pointed out that the wine that goes to make Remole comes from the Frescobaldi vineyards in central Toscana. It is the wine that is not selected to go into the estate wine. There is a second selection when the wine from the different vineyards is going to be blended together to make the estate wine. 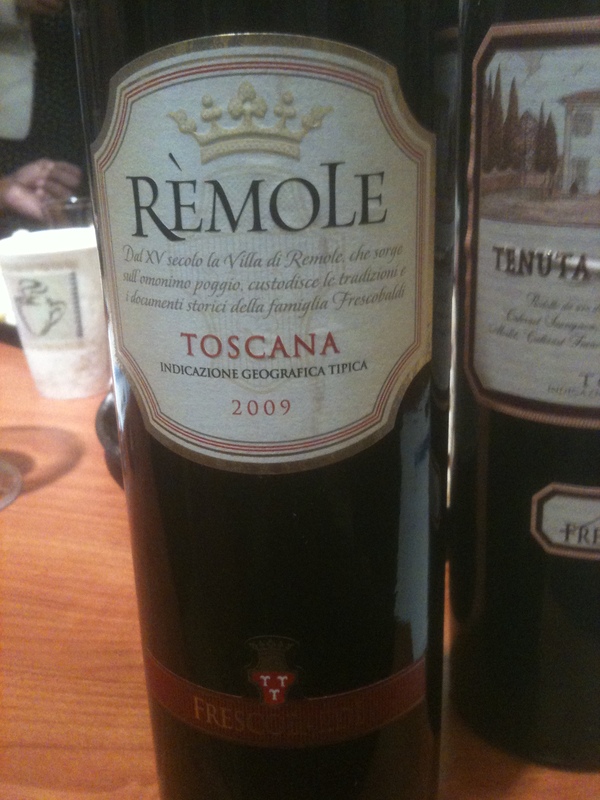 Alessandro said that all the grapes used in the Remole are from the estate vineyards and it was a bargain at $10. I had to agree. Fermentation takes place in stainless steel tanks for 10 days and maceration for seven days. It is aged in stainless steel for five months and 2 months in bottle before release. This is a wine with fresh red fruit flavors and aromas that should be drunk young.